I skipped out on last week's Three Things, because I was in the throes of weddingness for my little sister. It was my second wedding as a part of the bridal party whilst being GF, and while I don't usually expect the bride and groom to accommodate me, this wedding was particularly awesome because my sister, Kady, is gluten-intolerant, so I felt very safe. And not worrying about food freed me up to do things like take silly limo pictures and drink lots of champagne. Here's the food rundown from the weekend. 1. Thank God for Glen Prairie: I've said it before, and I'll say it again, and then again - this place rocks my socks. Easily my favorite restaurant, Chef Danny and his crew put together amazing meals, most of which can be tweaked to be gluten free. I was thrilled when the bride and groom decided to have the rehearsal dinner here. If you're in the Chicago area and looking for a place to host a small gathering, I highly recommend them, not just because the food is great, but because service is amazing, too. Luke also threw my surprise birthday party here last year. If you visit, tell them I sent you. And try the duck tacos. 2. Two thumbs up for Seven Bridges: My sister is gluten intolerant, and while she doesn't react quite as, um, strongly as I do, she wanted to make sure there was no chance of either of us getting glutened at dinner. Typically, for an event like this, I'd just either eat beforehand or pack a lunch. But after meeting with the event coordinator at the banquet hall last month, I felt confident enough to try the meal that was provided. Apparently, we're NOT the only special snowflakes with food issues, and gluten-free is becoming a more common request for banquets. I left one of my restaurant cards with the chef, and the week before the wedding, the coordinator e-mailed my sister to walk through the menu and confirm the ingredients and prep on everything. It was so nice to be able to eat the bacon-wrapped date appetizer and the whole goshdarn dinner without getting sick. This just goes to show that sometimes, people listen. And it's okay to trust. On occasion. 3. Part of being matron of honor is keeping the bride happy, so this meant loading up on gluten-free snacks for breakfast and breaks on the big day. Bonus? I got to eat them, too. Thanks to Sweet Ali's for making amazing crumb cakes, banana breads and donuts (You have to carbo-load for mimosas. You just have to). We also made sure to have fruit, nuts and some hard-boiled eggs that we accidentally froze. It took a lot of pressure off of both of us to know we could eat safely. Also, did I mention champagne? 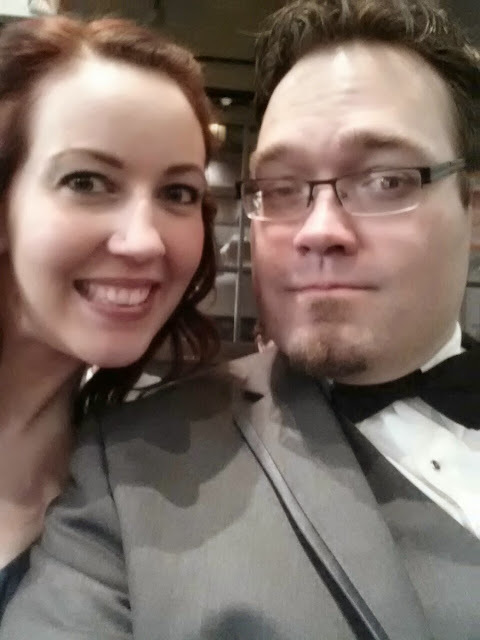 And, it doesn't hurt when your date is adorably handsome in his bow-tie. Guys, how excited am I that it's almost GFAF Expo time again? This is a great opportunity to get out and meet the faces behind some of your favorite brands, try new products and see what kind of awesome gluten-freeness is in the works. 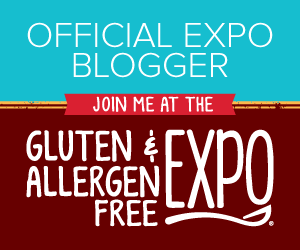 The folks at GFAF Expo have generously offered me some tickets to give away to you wonderful readers. To enter, leave me a comment with why YOU want to go to the expo. 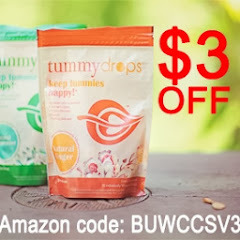 Make sure to leave me a valid e-mail address. I'll be picking winners on April 2. In the mean time, make sure to like GFAF Expo on Facebook & follow 'em on Twitter. Okay, so I'm hungry. Like, all the time lately. This is a good thing, because between two sinus infections, the stress of running a show and switching some medications, I've been having to force myself to eat for the past few weeks. Then, a couple days ago, I wake up and boom! Appetite back. Why do I have a feeling that the 15 pounds I've lost since Christmas will be coming back? Anyway, here's three things I will be nomming. Or want to nom. You know. 1.PACZKI!!! : ZOMG, guys. 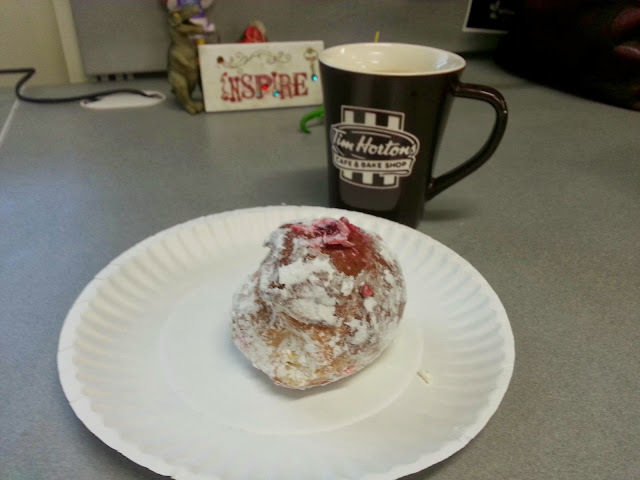 So I've been mourning the loss of my beloved paczki for three Fat Tuesdays now, wishing and hoping that someone, somewhere could re-create this fried yumminess for the GF set. Lo and behold, by dreams have come true. Gluten-free bakery Celiac Specialties in Michigan have caught lightning in a bottle and created this Polish specialty. My darling sister, who is getting married in about a week, sent this deliciousness my way. Raspberry filled and covered in powdered sugar, this is the opposite of all of the things I should be eating. But since I haven't had one in forever, I didn't feel too guilty. 2. Pei Wei's Vietnamese Chicken Salad Rolls: We found Pei Wei last year, and though it's not super close to my house, it's one of the few "fast" options I feel comfortable with. It's a spin-off of P.F. Chang's, and they are pretty good with GF. It's great to be able to get quick Chinese if I really want it. My new favorite thing is the chicken salad rolls - I'm really hoping to be able to re-create them at home one of these days. I guess it's good that I have to drive 20 minutes each way to get those bad boys, because I'm pretty sure I would otherwise spend ALL of my money on them. 3. Grilled food: Yeah, so this winter has been an absolute beast. Usually, we don't let a little bit of snow stop us from firing up the grill, but sadly, we've not had just a little bit of snow. I was so excited at the beginning of the week because it was melting to the point that I could finally *see* the grill again, but it didn't last long, as Wednesday morning's thundersnow covered everything back up again. Le sigh. 1. 100% Pure Honey Almond Hand Buttercream: Since we are still in the throes of the winter that will not end here in Chicago, my skin is not happy at all. This stuff helps a great deal, and smells absolutely wonderful. Not to mention, gluten-free. Because duh. I've been snagging mine from Ulta, since they have a smaller sized tube that fits perfectly in my purse (although let's not lie. I could fit entire human bodies in the suitcases I lug around). 2. Johnsonville Breakfast Sausages: Breakfast is probably my favorite meal, and in my never-ending quest to add more protein to my diet, I've been looking for a good breakfast sausage. Because while I could eat bacon every day, my arteries probably appreciate it if I don't. Plus, perpetual bacon cloud in you house sounds way more delicious than it is in actuality. This past weekend, we found some Johnsonville breakfast bangers that were labeled GF at our local grocer (is the labeling new? I don't recall ever seeing it before). We made some amazing pigs in blankets using our GF Bisquick mix. It's amazing how a little thing like that can make you feel so dang normal. 3. KIND Chewy with a Crunch Bars: I've been seeing these in stores for a while now, but I got so burnt out on bars that I just kept on walking. This week, I was looking for something new, so I picked these bad boys up in Vanilla Blueberry, and they are awesome. One of the things that I'm not so into with other bars is the crunchiness - sometimes you just want something chewy. These fit the bill nicely, and I can't wait to get my hands on some of the other flavors.